Introduction: In 1969 when Libyans witnessed a bloodless coup against their ruler King Idris lead by a 27 year old military colonel named Maummar Abu Minyar al Gaddafi also popularly known as Col; Gaddafi born on 7 June 1942 in a Bedouin family in a Libyan town of Sirt, who knows that the this child born in such a simple & nomadic family will become a Great Dictator of all Modern Times. 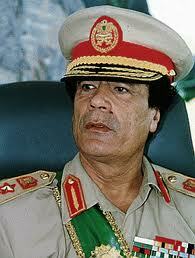 Gaddafi has been a leader of Libya since then. 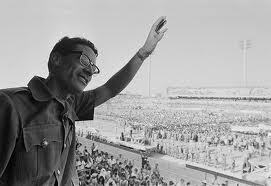 After relinquishing the title of Prime Minister in 1972, he has been accorded the honorifics “Guide of the First of September Great Revolution of the Socialist People’s Libyan Arab Jamahiriya” or Brotherly Leader and Guide of the Revolution in government statements and the official press. At the start of his rule he introduced various reforms & transformed the country from a Monarch ruled state into a more democratic people’s republic. He then later on introduced the policy of direct governance which he popularly famed as greater democracy or Jamahiriya. 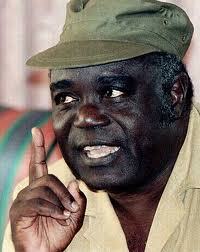 But after few years of his rule his actions now shows signs of a harsh dictatorship. 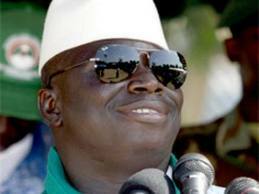 He banned media & put controls of press freedom & information accessibility. He now started supporting the anti Western approach which resulted in regional concerns raised by the western allies as they were now seeing him as complete supporter of terrorists’ organizations & PLO. In 1973 when Libya invaded Chad over the dispute of Aouzou Strip which came to an end by the peaceful settlement & withdrawal of Libyan Troops from Chad in 1994. 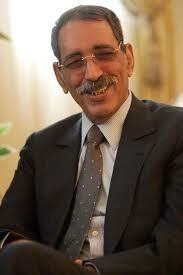 During this period his actions have worsened the relation with Egypt & as with most of the Arab world. So, Gaddafi sought relations with Soviet Bloc & became the first soviet ally country outside the Soviet bloc to receive the MIG-25 combat fighters. In the 1970s & 1980s Gaddafi’s politics had mostly supported for the liberation movements in West Africa & sponsoring international terrorism. He is also been accused as the main sponsor of the Black September Movement which perpetrated the Munich massacre at the 1972 Summer Olympics, and was accused by the United States of being responsible for direct control of the 1986 Berlin discotheque bombing that killed three people and wounded more than 200, of whom a substantial number were U.S servicemen. 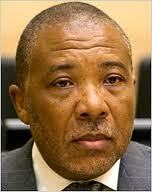 He had been accused for the Pan Am Flight which came crashing in Lockerbie Scotland & UTA Flight 772 (1989) bombings. Tensions between Libya and the West reached a peak during the Ronald Reagan administration, which tried to overthrow Gaddafi. The Reagan administration viewed Libya as a belligerent rogue state because of its uncompromising stance on Palestinian independence, its support for revolutionary Iran in the 1980–1988 war against Saddam Hussein’s Iraq Iran–Iraq War, and its backing of liberation movements in the developing world. 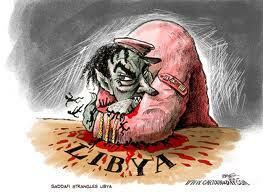 Reagan himself dubbed Gaddafi the “mad dog of the Middle East”. 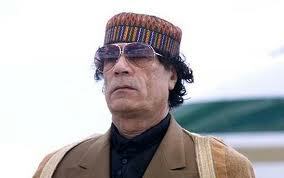 Sanctions & Isolation: An alleged plot by Britain’s secret intelligence service to assassinate Colonel Gaddafi, when rebels attacked Gaddafi’s motorcade near the city of Sirt in February 1996, was described as “pure fantasy” by former foreign secretary Robin Cook, although the FCO later admitted: “We have never denied that we knew of plots against Gaddafi.” All this has lead to imposing of economic sanctions by US in March 1982 since then the relations between the West & Libya deteriorated further leading to economic crisis in Libya. By now Libyan have already realized that their brotherly leader whom he loved & supported all these years, whose career they had nurtured through their veins have now fallen short of his promises & have lead their country to miserable isolation & their leader is now not so brotherly as they have believed him so. The news of corruption & about his enormous wealth is now been coming out in media from long on but to their misery there are no measures which the brotherly leader have taken yet to improve the situation of his people as they are now been deprived from basic facilities like water. Though, few reformed policies have kept a flow of European investments but they are not enough to be met a rising demand of employment & infrastructure. 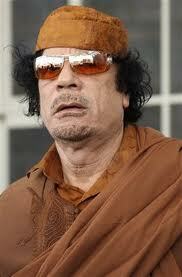 Gaddafi is reported to have amassed a fortune for himself and his family of 60 billion dollars, including shares in Tamoil and one of Italy’s largest banks Unicredit. 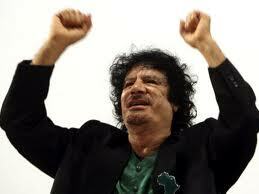 On 4 March 2008 Gaddafi announced his intention to dissolve the country’s existing administrative structure and disburse oil revenue directly to the people. The plan includes abolishing all ministries, except those of defence, internal security, and foreign affairs, and departments implementing strategic projects. 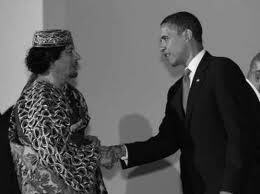 In June 2008, Gaddafi strongly criticised US presidential candidate Barack Obama for saying Jerusalem should remain the undivided capital of Israel, “The statements of our Kenyan brother of American. nationality, Obama, on Jerusalem … show that he either ignores international politics and did not study the Middle East conflict or that it is a campaign lie.” All these political steps & reforms didn’t spare Gaddafi for his long forced rule which has been triumphed as the longest rule by any non royal leader over a country spanning 41 years. With the death of Omar Bongo of Gabon on 8 June 2009, he became the longest serving of all current non-royal national leaders and he is one of the longest serving rulers in history. 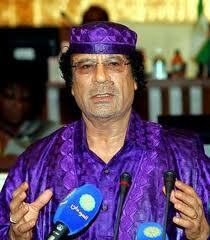 He is also the longest-serving ruler of Libya since Libya, then Tripoli, became an Ottoman province in 1551. As of February 2011, as part of the 2010–2011 Middle East and North Africa protests, the 2011 Libyan protests are ongoing, and have become a mass uprising against Gaddafi, who has lost control of most parts of the country. After Adolf Hitler may be he become a Libyan Furor as he has not even his people who are protesting against him & are fighting for their rights. He as used all the means of torture & weaponry against those people who had one day lifted him in their arms, who had looked him for generations as their brother, as their friend, as their shining leader who will one day changed their lives & bestowed them with happiness & prosperity. But the before the sun rise the shadow of growth had already darkens. So, how long one can force his rules which are not welcome by his family of Jamahiriya, at some or the other point the tide has to be turned by the people themselves who used to be the brothers & family of the leader who is not so brotherly.